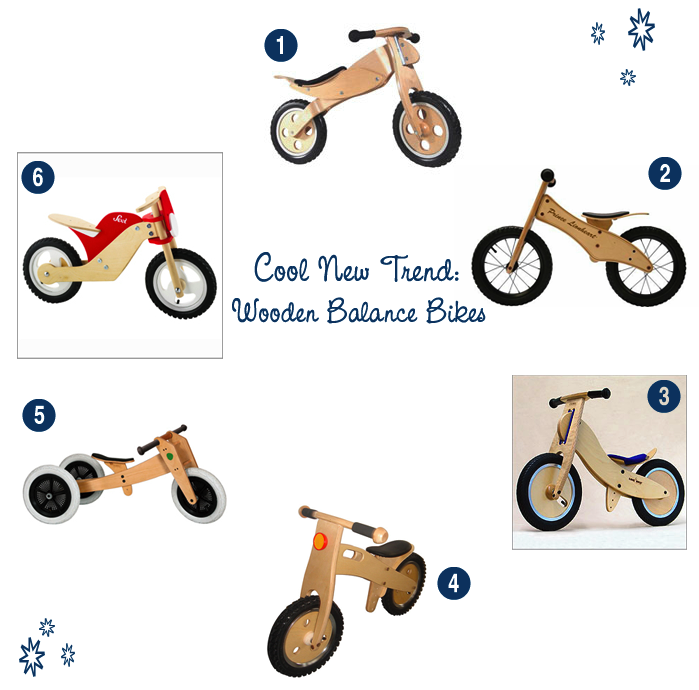 The coolest new trend for kids this year is the introduction of wooden ‘Balance bikes’ . While this is not a new concept, there are just more companies entering the market, giving parents more choice of style. These tiny bikes, often referred to as run bikes or training bikes, which are pedal free and without training wheels, first and foremost help a child develop the most important skills necessary to later ride a 2 wheel bicycle with pedals: Balance and Motor Skills. They are a great way to transition from ride on toys to a big boy/girl bike and all are made of 100% birch wood or eco-friendly materials.